SolaX Power is delighted to announce a new strategic partnership with leading Australian distributor Solar Juice. Solar Juice are the largest wholesaler of solar products in Australia, having supplied over a million solar panels and 100,000 solar inverters to homes and businesses across Australia during the last six years. 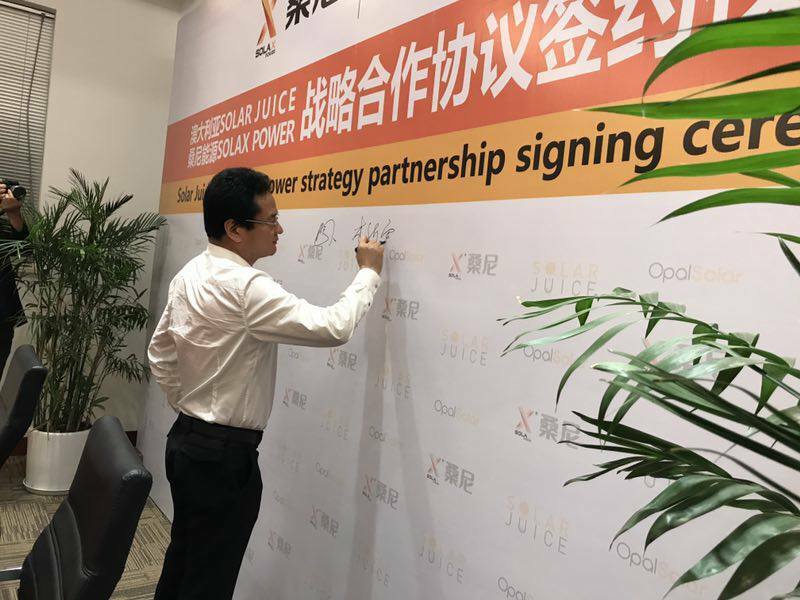 The deal, signed this week at the SolaX factory in Tonglu, China, is a three-year agreement for the supply of 150MW of SolaX inverters. 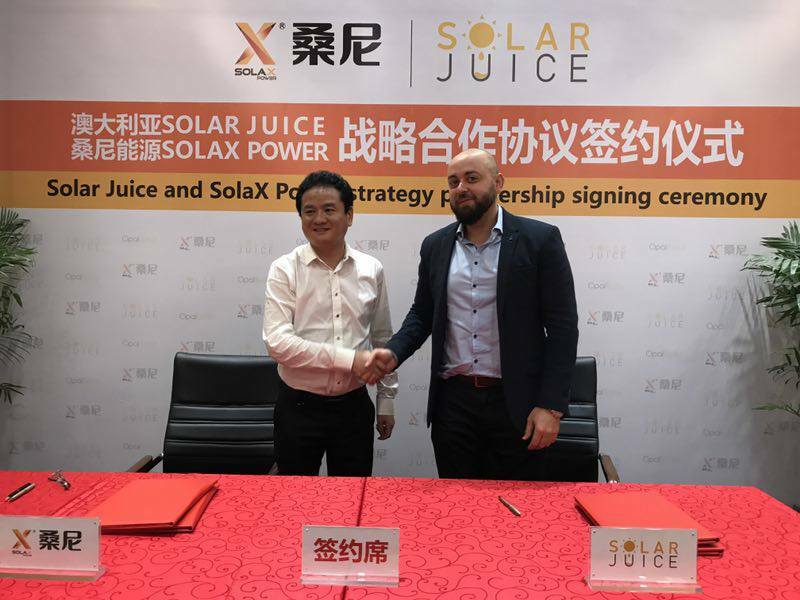 “Solar Juice and SolaX Power are two companies that share the same ethos and a commitment to service and quality, and this strategic partnership further strengthen the bonds between the two forward-thinking and dynamic companies. Visit Solar Juice at www.solarjuice.com.au.